When Virginia Gov. Terry McAuliffe (D) leaves office, he probably will seriously consider a run for president in 2020. Already, his public speeches tout success in promoting economic development. He’s been a champion of stronger gun control , is ardently pro-choice and delights in recounting his fight to restore the voting rights of felons. On the other hand, McAuliffe has disappointed those who had hoped to see criminal-justice reform during his tenure. Today, more than 30,000 people remain behind bars in Virginia at an annual cost to taxpayers of about $28,000 per person. Some inmates are elderly, blind or in wheelchairs, and experts estimate up to 7 percent may be innocent of the crimes for which they were convicted. Jens Soering appears to be one of them. He’s a former University of Virginia honors student and son of a German diplomat who was charged with killing his girlfriend’s parents, Derek and Nancy Haysom, in 1985. He was sentenced to two life sentences. The girlfriend, Elizabeth Haysom, is serving a 90-year-sentence for accessory before the fact — she pleaded guilty to helping to plan the murders but not physically taking part. A German documentary, “The Promise,” contends that Elizabeth Haysom committed the murders, possibly with help from drug dealers. “The Promise” comes to U.S. theaters this month. Soering already has spent more than 30 years in state prisons, steadfastly maintaining his innocence, and the body of evidence in support of that claim has grown dramatically in McAuliffe’s almost four years in office. At the time of the crime, experts said they found no evidence of Soering at the scene, and a second look at the data shows DNA from two men never identified by police. The sheriff of Albemarle County and a retired detective from Charlottesville devoted hundreds of hours to reviewing the case, and both concluded Soering would not be convicted if he were tried today. Couple that with the fact that his initial confession to the crime was flawed. Soering said he confessed, believing he had diplomatic immunity as the son of a German diplomat, to protect his girlfriend from execution, but in his confession he got several details wrong. He told police, for example, that one of the victims was wearing bluejeans, when she was actually clad in a paisley housecoat. 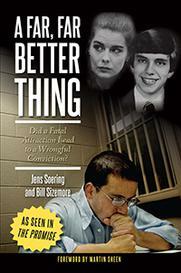 Despite these and other facts, McAuliffe has twice refused to pardon Soering. Republican lawmakers have said that releasing Soering would “significantly undermine the integrity of Virginia’s criminal justice system.” But the opposite is true. In fact, when he was governor, now-Sen. Tim Kaine (D-Va.) agreed to ask for Soering’s return to Germany, but his successor as governor, Robert F. McDonnell (R), stopped the process when he learned Soering could be released after as little as two years in a German prison. 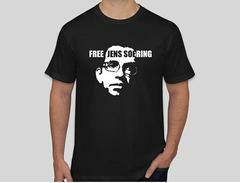 The clock is ticking on what could be the first important move in his presidential bid: a pardon for Soering. That act would signal to voters that McAuliffe is a man of his word and not a ruthless politician willing to sacrifice the life of an innocent person to deny his critics possible ammunition.